Kindergarten teacher Ava OConnor has never had a relationship last long enough to sustain a houseplant, let alone the life she dreams of. She thought she had found lasting love, but then she caught her fiance cheating on her. With another man. On the satin sheets he had given her for their anniversary. When Cole Stanton-a summer love from years ago and the only man who has ever made her blood burn-returns to town, hes suddenly interested in rekindling old flames. But with her confidence shaken, she knows she cant let him into her heart. 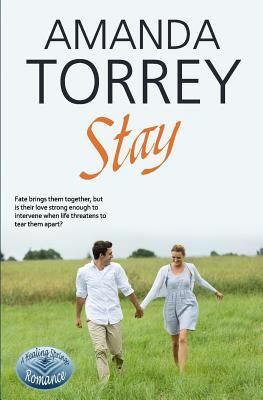 Fate seems to bring them together, but is their love strong enough to intervene when life threatens to tear them apart?